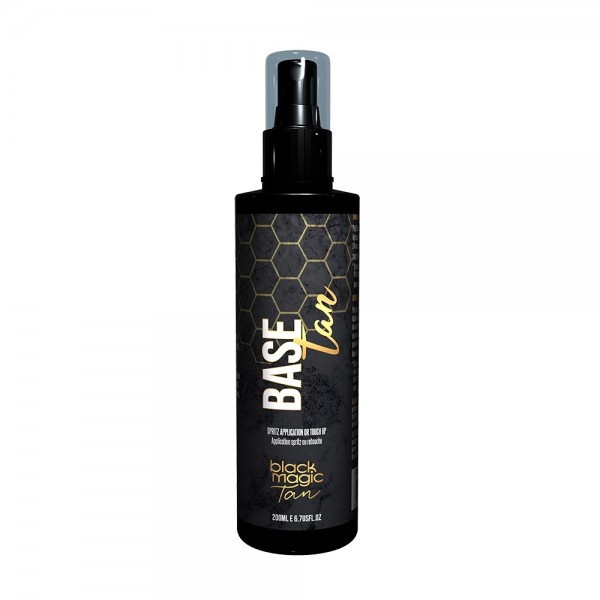 Base Tan was created specifically for the body building industry to deliver a deep dark base coat for competitors. Base Tan delivers an extra layer of colour depth infused with a range of natural ingredients that almost instantly dry when it falls onto the skin. No smell, no fragrance, no parabens, super- fast drying, you will simply love it! Experience the difference today. Prep skin prior to using Base Tan with Muscle Prep Spray. Spritz Base Tan onto the application glove, then using a circular motion apply evenly. Apply 1-2 coats of Base Tan, dry well between coats. For best results leave Base Tan on for 8 hrs before rinsing. Do not use soaps or shampoo prior or directly after your base coat.